The Origin of Satanism | What Is Satanism? Satanism begins with Anton Szandor LaVey and the original Church of Satan. There is no better place to begin your inquiry. Anton Szandor LaVey created Satanism and brought it to the public in 1966 CE. The Satanic Bible, published in 1969, is the primary and authoritative source for Satanism. Currently, The Satanic Bible is only available through a single publisher. Do ensure that you are purchasing a legitimate copy when you are able. Many brick-and-mortar stores still carry the title and is always available on Amazon. Satanism explicitly holds the highest regard for individualism. There are no political protests, statues, churches, public covens, grottos, or remote charter memberships. If you believe you have received notification suggesting otherwise then you have confused another organization with Church of Satan. Anton Szandor LaVey did not claim to have any spiritual communication or Gnosticism. Satanism's foundation is rational thought. Antiquated dogma has no place in the rational mind. LaVey stresses that it is up to the individual to know themselves and all mankind as carnal animals. Personal exploration through unclouded rational thought is critical for a Satanist. Practice of LeVayan Satanism can be accompanied by officially joining Church of Satan. Individuals are free to practice alone with LaVey's original texts and with media produced by Church of Satan members. There is no requirement to join to be a Satanist. Be wary of the many groups that claim to be Satanists. If a person requests money or action from you on behalf of Church of Satan it is most likely fraudulent. You should contact Church of Satan if you are concerned. 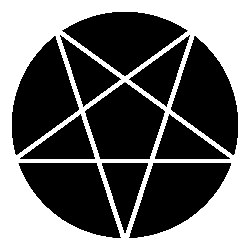 The philosophy of Satanism has continued to be developed throughout the years that the Church of Satan has existed. The Satanic Scriptures includes further clarification and development of the core of Satanism, ensuring that the vision of Anton Szandor LaVey is clear and not corrupted, and guides readers through the history of Satanism. The tongue-in-cheek title of Scriptures envelopes a tome of essays and rituals created by High Priest of the Church of Satan Magus Peter H. Gilmore. This is only true in the most naive of considerations. Hellfire Clubs and other organizations existed before 1966. Followers did not publicly declare themselves Satanists, opting for meetings held in secrecy, with loose organizational practice often based on mocking religious themes. Gatherings were small and private. Anton Szandor LaVey established Satanism, codified the practice, and presented it to the world in 1966 CE as a complete package. Historically, people may use words like heresy and blasphemy to accuse and shame individuals of not being of the normative in behavior and religious practice. The word satanic has been penned by many an overzealous fanatic as a rallying cry to the faithful. Popular media may suggest that red-eyed satanic demons flying a flag of Baphomet fought in dark battlegrounds. These battles are cogs in the imaginations of individuals inventing enemies for the heroes they wish to identify as and nothing more. Historical battles took place under the names of invented beings "guiding" warriors into battle to defeat individuals that did not believe in the same invented being - Satanism was not involved. Satanists have never sieged a castle. It was particularly difficult to find a castle to siege in California in 1966 CE and it hasn't become any easier since. Satanism prior to the 20th century, as defined by certain theistic individuals, is fantastical writing by zealots. Any theistic religion has definitions for good and evil, what is right, and what an individual may claim dominion over. Luckily, Satanism is not a theistic religion. There are no mysterious texts from unknown sources dictating the behavior of its members. There are no tithes or confessionals. No mandate requires you to reject any thought nor does it require any unquestionable action. The individual that identifies with Satanism chooses appropriately through review and introspection.